Kenny Ortega, stop. Step away from Dirty Dancing. Do not remake it. Do not pass go. Do not collect $200. This is one of my favorite movies. I have seen it more times than you can imagine. The thought of it being remade is troublesome in more ways than you can ever believe. My main concern is that I don’t see how a Dirty Dancing remake can possibly work. Something about the movie, which revolves around nostalgia for a time gone by, coming-of-age, and first love in the face of class differences, would be lost. There was already a sequel, Dirty Dancing: Havana Nights, that was a total dud and it had Patrick Swayze in a cameo appearance. A remake of Dirty Dancing doesn’t even have that working in its favor. But if this remake has to happen, here is how I think it should be done. Vacationing at a Catskills resort complete with a wait staff, recreational activities, and working class dance instructors doesn’t happen anymore. Nowadays you go to the Catskills to camp, kayak and do other outdoorsy things. Sorry Kellerman’s, you are out of date. I guess the Housemans 2.0 should be modeled after any Real Housewives family. So the Housemans will be rich assholes with questionable businesses vacationing in the Hamptons. Sounds simply delightful! 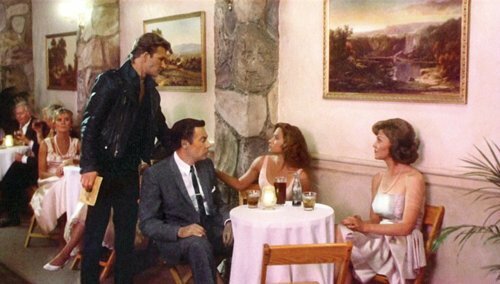 The best moment in Dirty Dancing is when Baby sees Johnny Castle and Penny dance for the very first time. She just carried a watermelon, literally carrying her awkwardness with her. Who are these street kids just getting down like that? She is super uncomfortable and out of place. Yet she is in awe of them and then jumps at the chance to learn. What dance genre could Baby 2.0 learn and still have the same affect? Hip hop was done in Save the Last Dance/Step Up. That leaves ballroom dancing. A Dirty Dancing–Strictly Ballroom hybrid could be entertaining. Or! Irish stepdancing could have a comeback. Dirty Dancing: Summer in Eire has a… ring to it. Part of the appeal of Dirty Dancing is that it is set in the 1960s and filled with a great soundtrack that mixes 60s music and new songs. As a result, it is rife with nostalgia. There are also somewhat absurd, 60s-centric subplots galore. Penny has a sketchy abortion. An old couple is a ragtimey duo of wallet thieves. Baby is academic and idealistic but it is the 60s so she can only attend a women’s college. There is a big band. There are major class divisions between the staff and the guests. If, for example, the remake is set in the 90s, you lose potential conflict. Class issues could still exist but in a different way. The sense of loss that the Kellerman’s feel because it is the end of a golden era would be gone. And that abortion subplot, which is kind of a major conflict in the original movie, couldn’t exist in a movie set in the last 30 years. Our heroine Frances “Baby” Houseman is named after Frances Perkins, the first woman to serve in the U.S. Cabinet. This is the perfect name for a young feminist born in the 1940s. Frances Perkins has also been very dead since 1965. When you learn that Baby is named after her, you are immediately prompted to Google. By this logic, Baby 2.0 has to be named after a suffragette like Susan B Anthony or my favorite, Ida B. Wells. Or just Eleanor Roosevelt so no one with a basic middle school education would need to bother Googling. I realize that as a Mount Holyoke alumna, I am biased with this one. 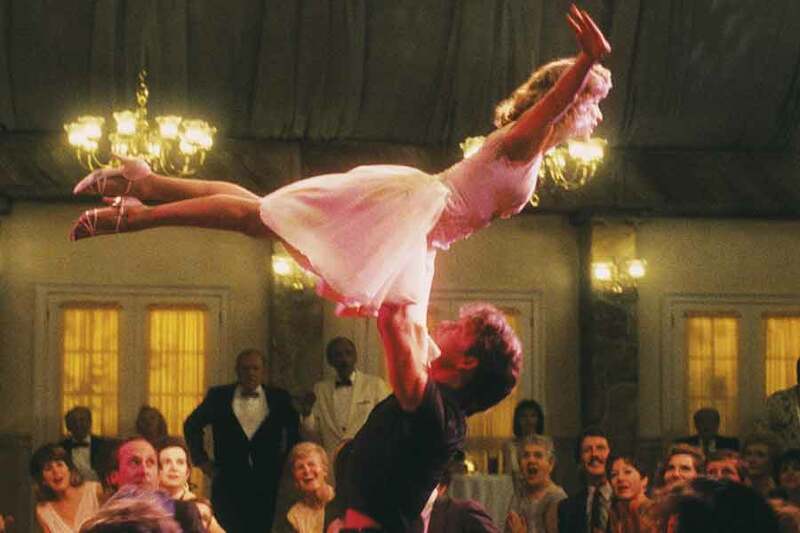 Dirty Dancing is a big deal at Mount Holyoke. Not only that but changing where Baby 2.0 goes to college, what her father’s profession is, what her plans for saving the world are, changes the tone of the entire movie. Dirty Dancing is as much about class as it is about first loves and impromptu but totally choreographed dance numbers. This is a terrible idea. I don’t know why remaking 80s movies like Dirty Dancing and Footloose is suddenly so popular. It needs to stop. Yes these movies are wildly popular but that doesn’t mean they need to be remade; there are so enjoyable as they are. Leave them alone.